If the eyes are the windows to the soul, the face is a reflection of your spirit. Your smile may light up a room, and you may feel youthful and energized, but years, environment, and life’s little stresses can exact a toll on your face. At SK Clinic, home of San Diego facial plastic surgery experts, we perform a natural-looking facelift, endoscopic brow lift, laser resurfacing, and more. It is our goal to help many people rediscover that reflection of their spirit. When we perform procedures on the face, our goal is to achieve a natural, radiant outcome – a result that improves your face, your spirit, your being. There are numerous options for improvement available to you at SK Clinic through facial plastic surgery La Jolla, including endoscopic brow lift, facelift, malar lift, and facial contouring. There are numerous advances that have made facial cosmetic surgery procedures less intrusive, more precise, and exceedingly subtle. With facial plastic surgery in San Diego, experienced local professionals are able to help you decide precisely which procedure is necessary. 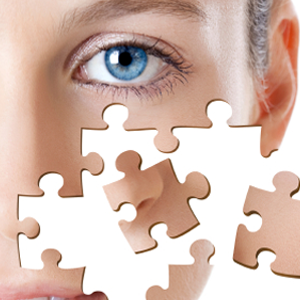 San Diego facial plastic surgery procedures can be viewed below. The following are descriptions of what is available to you at SK Clinic in La Jolla, San Diego. Contact us for any questions regarding facial plastic surgery San Diego and La Jolla procedures. Gravity is no friend to the face. As you age, your skin loses its firmness, elasticity, and its ability to resist gravity. As a result, jowls and slackness in the skin between the chin and the neck develop. At SK Clinic, located north of San Diego in La Jolla, the facelift is designed to restore the youthful contour of your face. Discrete incisions are made within the ear crease and into the hairline. The hairline is completely restored without telltale scars. Fat is sculpted and excess fat and skin are removed, while deeper tissues such as muscles and fascia are tightened. This manipulation of the deeper tissues creates more lasting results that are not dependent on the skin alone. The result is more pronounced cheekbones, a smoother jawline, and a more youthful appearance. For more information about our La Jolla, San Diego area clinic and to schedule a consultation for a facelift, contact our associates today. Thermage is the only non-invasive procedure that helps tighten and contour your skin in a single treatment with no surgery, no injections, and little to no downtime. Instead, Thermage stimulates your body’s natural renewal of collagen, which creates subtle, natural looking results on and off the face, like Tighter, smoother skin Softened wrinkles and lines and an overall younger looking appearance. SK Clinic in La Jolla is one of the nation’s leading proponents of the mid facelift. We have performed hundreds of these with remarkably natural results. The mid facelift is becoming a popular alternative to the traditional facelift. As performed at SK Clinic in La Jolla, mid facelift involves making the cheekbones more prominent while lessening that ever-deepening crease that runs from the nose to the outer edges of the mouth. The jowl (or nasolabial crease) is tightened and the result is a natural, youthful look that will melt away the years. The mid facelift, or malar lift, can be performed alone at SK Clinic, located outside San Diego, or in conjunction with a standard facelift. Dr. Krant will advise you as to what procedures, or combination thereof, will best suit your needs. 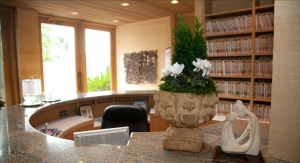 For more information about our La Jolla, San Diego area clinic and mid facelift, contact our helpful associates today. The brow or forehead can be your facial barometer. Stress and fatigue take up residence for all to see in the form of furrows, creases, sagging eyelids, and the dreaded frown line. At SK Clinic in the San Diego area, the endoscopic brow lift is a safe, precise, and patient-friendly procedure for dealing with the brow that can effectively erase these facial furrows. As performed at SK Clinic in San Diego, the endoscopic brow lift is a minimally invasive procedure, performed through a series of vertical incisions made just behind the hairline. During an endoscopic brow lift the forehead skin is not lifted, nor is any skin or hair removed. Using an endoscope, the forehead skin is released, the frown lines and muscles are lessened, and the eyebrows are stabilized in a more natural and youthful position. The result is a smooth brow that shows little signs of age, stress or fatigue, but without the look of “surprise” that can often be equated with such a procedure. We are certain you will be delighted with the results every time you look in the mirror. For more information about our La Jolla, San Diego area clinic and brow lift, contact our helpful associates today. The true art of what we do at SK Clinic in La Jolla, San Diego is evident in the variety of facial contouring procedures we perform. If you aspire to a reshaped nose, cheeks, or chin, contouring is an effective technique to achieve the look you want. In the case of nose reshaping, also called rhinoplasty, the result can be both cosmetic and functional, as your breathing can be effectively improved. Through inconspicuous incisions made inside the nostril and on the columella, we are able to reshape the nasal structure, either by sculpting bone and/or cartilage, or by adding cartilage as needed. The septum may also be straightened to enhance the airway and improve breathing. The result is a nose that is contoured to your desires, whether to remove a hump or wide bridge, to minimize nostrils, to trim the width of the nose tip, or to give the tip more definition. Simply sculpting the tip of the nose can greatly enhance your overall appearance. Whatever the desired outcome, a naturally reshaped nose can bring life and vibrancy to any face, often with the added functional benefit of improved breathing. Blepharoplasty, or eyelid lift, is one of the most popular procedures performed by plastic surgeons today. It can dramatically rejuvenate your countenance by removing excess skin around the eyes that causes a “tired” look. Blepharoplasty incisions are placed where the natural creases of the eyelid occur, both in the upper and lower eyelid area. Our surgeons will carefully evaluate your needs to determine the best approach. Excess fat and skin are removed to smooth out the eyelid area and create the rested, youthful look you desire. If you feel your chin is too small, receding, or disproportionate to your face, thereby overemphasizing your nose and diminishing the “strength” of your appearance, you may want to consider chin augmentation. At SK Clinic in La Jolla, this procedure can perfect the contour of the face by augmenting the chin profile to a “normal,” more pleasing position. We will insert an anatomic implant that will bring your chin to a more normal position and proportion. This procedure is performed through an inconspicuous incision inside the mouth through which the chin implant is placed. Similarly, for cheek enhancement, the implant is placed through an upper gumline incision. There are no external scars and your facial proportion is more balanced and normal. The results are dramatic and natural-looking whether done alone or with a face or neck lift. For more information about chin augmentation or our La Jolla, San Diego area clinic and facial procedures, contact our friendly associates today.